Logan, a college town 90 miles north of Salt Lake City and 20 miles south of Idaho, draws new residents because of its religious diversity and tolerance. It has low unemployment rates and is known as one of the America’s safest cities (crime is almost non-existent). 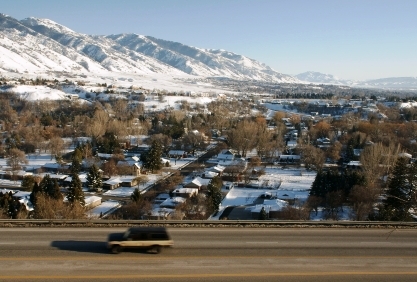 An estimated 50,000 people live in Logan in 2009. Logan is the proud home of Utah State University and its 16,000 students, whose influence permeated It is an altitude of about 4500'. 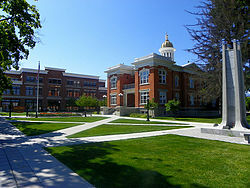 Logan is known as a cultural mecca. In addition to events at the University, there is a also the Ellen Ecles Theatre which offers a wide range of cultural events. During the season opera lovers flock to Logan, home to one of the top 20 companies in the country. According to Zillow, the median list price for a home in Logan was $206,900 in mid-2018. In addition to Utah State University Logan is also home to the Logan Utah Temple, a very large Mormon building on a prominent hill. There are many homes on the National Register of Historic Places. There is a zoo. Logan Canyon offers superb recreation. Logan is a long way from any city other than Salt Lake. Thanks to the Ellen Ecles Theatre and its very successful opera company, Logan is an active cultural destination in season. Utah State University provides many cultural attractions. The WIllowPark Zoo serves Logan. The crime rate is low in Logan. Logan Regional Hospital provides medical services for Logan. Other hospitals are nearby and in Ogden. The nearest airport is Ogden-Hinckley, about 40 miles. Salt Lake City International is a major airport and 67 miles distant.